This photograph looks to the west across St. Mary Lake in Glacier National Park. 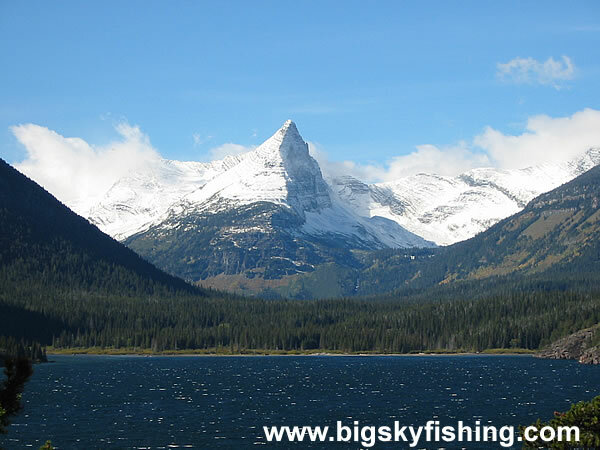 The snow-covered peaks, Reynolds Mountain in particular, rise abruptly and are part of the Continental Divide that splits Glacier National Park more or less in half. St. Mary Lake, as it lies on the eastern side of the Continental Divide, is often a windy place. As can be seen by the whitecaps on the lake, this day was no exception. Photo Use Policy : Please read the photo use policy if you would like to use any of these photos for online or offline use.